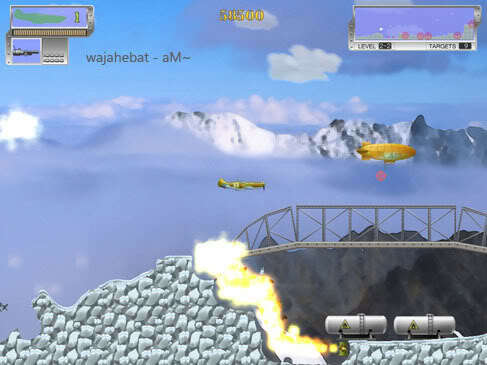 Air Bandits 1.0 [Game] Best !! Aviate your plane in the times of WWII. Destroy enemy targets and supplies. Blow up Zeppelins and collect bonuses. Survive in dogfights with air bandits! Re: Air Bandits 1.0 [Game] Best !! weh..kau dh guna blom crack yg aku includekn? wei! aku udah CRACK x de ape jadi pon sama jew? kau dah paste crack file tu ikot instruction aku tu? huh? paste? maksud ko paste kat ne?